These retro shoes scream comfort over chic. I have always been a fan of chunky shoes with my Superga platforms, Alexander Mcqueen sneakers and other no-brand pairs, however these funky ones have taken a little longer to grow on me. We are seeing them exponentially show up on fashion sites and on the streets, ever since their appearances on the runways. 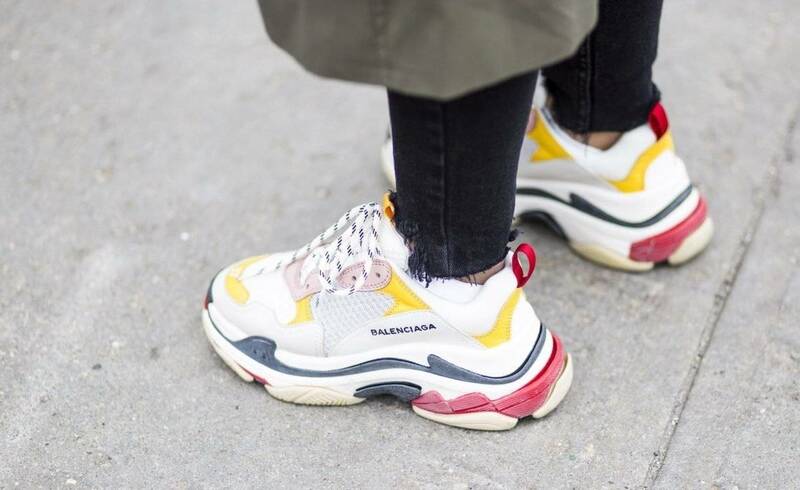 The Balenciaga Triple S Trainers flooded my Instagram all summer (the pink and light blue colors are my personal favorites) and fast fashion brands are now creating these styles more affordably, which is amazing for people like me who are hesitant about splurging on this trend. I have listed below affordable alternatives as well as my designer favorites for you to shop around one of this fall’s biggest trends. Next Post Sephora Beauty Insider Sale: See What I Ordered!